Performance art was a way in which I could unite my various backgrounds: contemporary music, church music, philosophy, theology, theater and visual art. And this was a way in which life could flow into art and art could flow into life. Art can intensify life, life can intensify art. And it could be an outlet for my desire, or dream, about making a change in the world. This attempt, which could be unsuccessful, was manifested through performance art. Performance art is also a place which avoids the circulation of money to an extent. I begin my process often from a philosophical or utopian perspective which I want to give life to. Something which is difficult to manifest in this so-called real life. Performance art can become a space which expands life. Or possibly shows us the limits of our lives and the borders between art and life. My last project, “The Last Oil” was a performative, site specific sound installation for a solo audience which took place on Steilene, a group of islands out on the Oslo fjord. The performance was a collaboration with the performance artist, Fernanda Branco. The performance was based on an ancient roman catholic ritual and reflected the site’s history and our nation’s future. The performance was inspired by and based on fragments from the novel “Nedstyrtet engel” by Per Olov Enquist. As I find the political state of the world untenable, I wish to have change. On the grounds that I wish or dream for there to be a chance to make changes to the world, I often work with ritualistic art forms. Encounters with the public are often the essence of my work. In previous work, I have missed out on meeting with the audience. I have, on a symbolic level, thrown up on the audience. I came to the understanding that the destructive and subversive forces of the work were transferred to the public who remained untransformed. That meant that over the years I have had to think up a way to better safeguard the ethical aspects of my performances. I feel that perhaps there are inherent structures in performance art that benefit both art and artists to the extreme, against the spectacular, and thus often also against the destructive. Presumably this is due to the desire to manifest a “real” action rather than a fictional action. A common strategy is to do something that is, in one way or another, irreversible. Damaging something is such an activity. Or at least, it was for me. It took time for me to reverse some processes in me, where I reviewed a previous, long running project which worked against my own heart. In recent years I have wanted to return to an art form which is both critical and subversive, but at the same time can plant a hope. Through working in the form of one on one performances, I can be present in the performance in a completely different way than if I was to act on stage or in a gallery. I can listen, empathise, look the person in the eye, let them be seen. This is of course a demanding performance form and in many ways a hidden form, since one can only reach out to so few people. 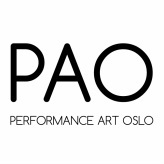 So I am also happy to go along with the request of the PAO Festival to create a performance for more people at once. It’s a bit like returning to where I started. But, hopefully, with its heart in the right place. Q: In what way do you think you really can make changes in the world? Here I am very ambivalent. There is of course no certainty that I actually want to make a change to the world, otherwise it might have made more sense to have gone into politics or law or become an economist. Because I do not have a clear answer as to what is best for others. Art is an opportunity to marvel over the conditions of our lives and society. Meanwhile, I wish that this amazement could spill over into society and influence our politicians and power brokers. I think we’re at a place in history where art has little influence on what is going on around us. A friend of my said once that he thought of art as a sick part of the brain if one imagines society as a brain. And I can share this view. Often it feels like one is groping blindly into the air. Where is the opposition? What are the consequences? Has art become an isolated subject in a society that finds solutions to its own problems? I wish to have an art that works. Not as an auction or some political statement, but by being its own weapon of wisdom, dreams and beauty.